Waubra, previously known as the Springs, was first explored in 1836 by Major Thomas Mitchell, who passed through the Mount Misery / Lexton area. In 1838, with the arrival of the Learmonth brothers, the area known as Ercildoune was settled, from Lake Burrumbeet to Glenbrae. Many people travelled through the area in the late 1830’s – early 1840’s on the settlement route from Geelong, to Mt Buninyong, then through “The Gap” (between East Mount Mitchell and Quoin Hill), to Lexton and then between the Pyrenees and Mount Cole ranges into the upper Wimmera. Closer settlement began in the late 1850’s as unsuccessful miners from the Gold Fields moved in and began looking for agricultural land. In 1859 Trustees were appointed to care for the Cemetery. In the 1860’s the Springs supported four hotels. 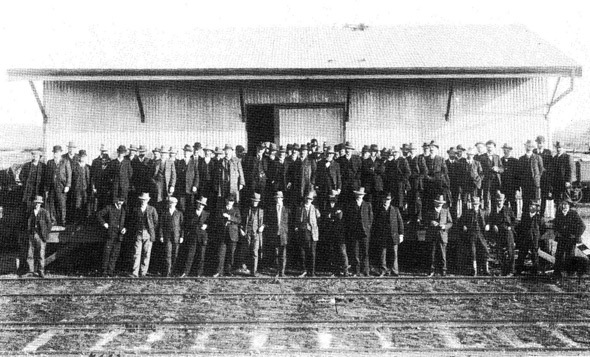 The railway came to The Springs in 1888, changing the name of the town to Waubra as there was already a “Springs” in Victoria. In the late 1860’s the three churches, Catholic, Anglican and Presbeterian all opened, some free of debt. 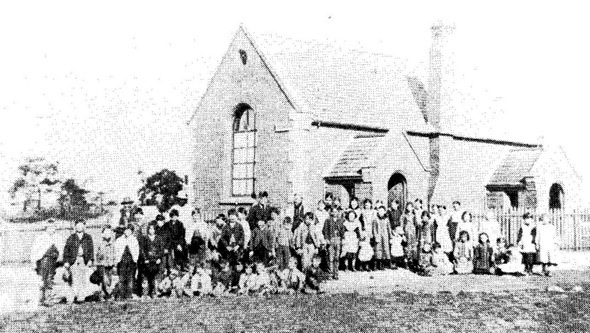 The first school was built in the late 1880’s at the end of Hall Street and served as the school until 1916, when a new school was established at its current location. The old school then became the police station and courthouse until 1931 when it closed. 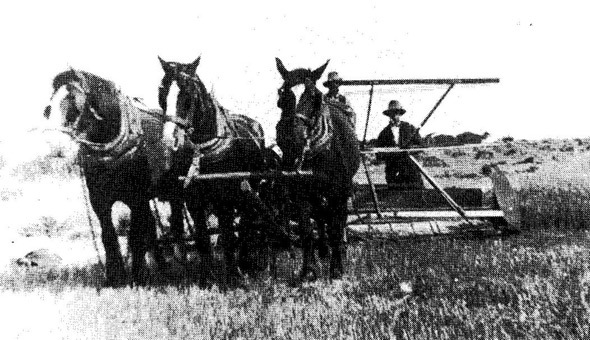 In the late 19th century employment was primarily general farm work, shearing, digging potatoes, clearing land and harvesting. In the early 20th century horse drawn threshing machines and a steam driven chaff cutter operated in the district, along with flour mills, blacksmithing and the towns own bakery. 100 odd men from the district enlisted in the first AIF in the 1914-1918 period. Closer settlement and then soldier settlement, at Glenbrae, Mount Mitchell, Ercildoune, Langi Kal Kal and East Mount Mitchell after both wars brought more and more families to the district. A Chaff Mill operated at Waubra from 1927, adjacent to the railway station. As motor cars increased the rail passenger service was closed in 1931. The line was still used for goods with special “lamb” trains being run regularly, where the farmers walked their stock to the station for sale in the Ballarat markets. The line closed in 1968. Postal services are believed to have begun in the 1860’s. 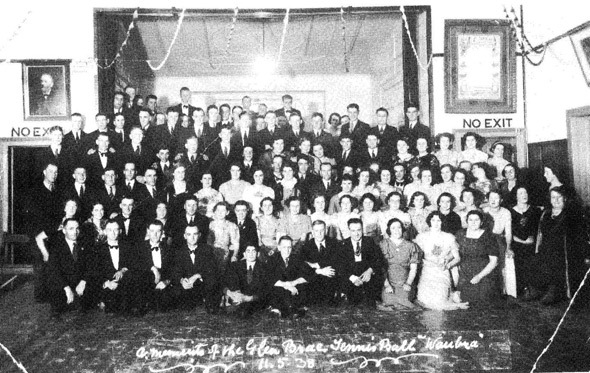 In 1939 electricity came to Waubra and in the 1950’s to the surrounding districts. The town moved ahead in the early 1970’s with the opening of residential land at Waubra Heights. In 1980 the town got its own domestic water supply from a bore on Stud Farm Rd. In 1988 the recreation reserve was redeveloped with a new brick complex being built to serve a range of sporting and community activities. The Mechanics Hall was built in 1884, and has served a range of community interests over the years, chiefly being the home of the Waubra Pre School since 1983. In 2011 the Recreation Reserve Complex was upgraded to increase its function area, provide a new commercial kitchen and a new Pre School. The Mechanics Hall was sold in 2011 to private interests as part of the fundraising for the development. The area has enjoyed great sporting success over many years in tennis, cricket, lawn bowls, football and netball. In 2011 the Waubra Football Team, the Kangaroo’s won a clean sweep of the U18, Reserves and Seniors Finals in the Central Highlands Football League. Waubra is now a mix of retired families, people who work in the district in agriculture and with the Waubra Wind Farm, as well as a significant number of people who commute the 35 km to Ballarat for employment.